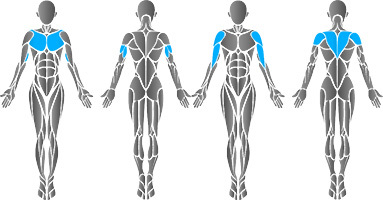 Dual function Dip / Shrug unit provides targeted training of shoulder, arm and back muscles. This machine is equipped with range limiters and isometric strength testing possibility. The machine can be used with wheelchair. Width of the lever arms can be adjusted.